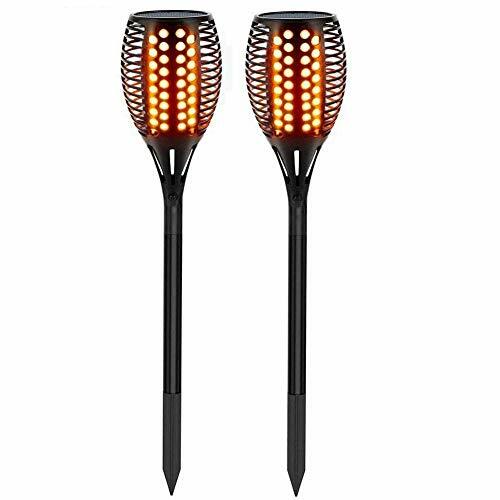 Our 96LED dancing flames lights design,creating the romantic feel for your party,camping,barbecue,wedding,christmas festival. It is perfect for landscaping,garden,yard,pathway,poolside,patios or any outdoor environment. Push the stake into the soil,assembled and working in less than a minute,no wiring required, simply install and enjoy beautiful night! 2. For the first time use, make sure to expose the light during the SUNNY day to fully charging the battery enough. 3. Please make sure to turn on the switch before use.